When I saw this I immediately recalled the wonderful Fifty Million Reasons (Toronto Collection 13), Heather Wardell . That’s a book I loved, and was hoping for something along those lines. 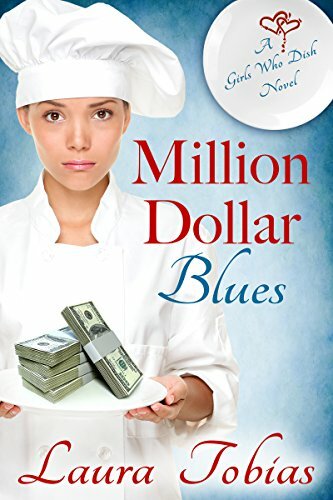 For leads in both books the money brings some huge problems – be careful what you wish for as the saying goes…but the stories unfolded very differently. Sadly though I enjoyed thisnovel I didn’t love it. I couldn’t really connect with any of the main characters, didn’t feel the romance, though the issues raised were very real and believable. That meant that I really didn’t care if things worked out for them, wasn’t invested enough in the outcomes. I want stories where I feel I’m there with the characters, happy and sad when they are, where I’m waiting breathlessly for things to move forward so they can get a HEA. I think one of the things that made it just an ok read for me, in addition to not really feeling I knew the leads, was that it was so so busy. There’s so much going on, so many plots, within plots, within plots that it felt there wasn’t really space to develop fully any of them. Still, that’s just me, as I’ve said before, reading tastes vary hugely and this is an entertaining read, if a little flat for me. Stars: Three, an ok one off read for me.